If you're holding out on the just-announced Google Pixel in hopes the company will revisit its Nexus line one day, you may want to sit down. Google said today that it has no future plans to develop Nexus-branded smartphones or tablets, opting instead to focus on the newly anointed Pixel. After a half-decade career, the Nexus line ends with last year's Nexus 5X and Nexus 6P. Thankfully, those who still run Google's older phones won't be completely abandoned. "We will continue to support current Nexus users [via] customer support, software updates, etc.," a Google representative told TechRadar. Prior to today's reveal, the Pixel and Pixel XL were thought to be codenamed Nexus Sailfish and Marlin. 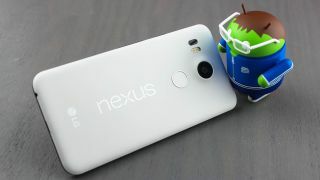 Hints that Nexus was on the way out started to arise as the company became more interested in the in-house approach of Pixel and likely wanted to avoid brand confusion. However, thanks to a very hands-on approach from Google regarding the Pixel line - to include speedy access to Android's latest updates - one can argue the Nexus/Pixel transition as more of a reboot than the death of a lineage.